Quietly mentioned in yesterday’s press conference about Google’s Android update is a new feature that will change the way people use their mobile phones, search deep-linking. 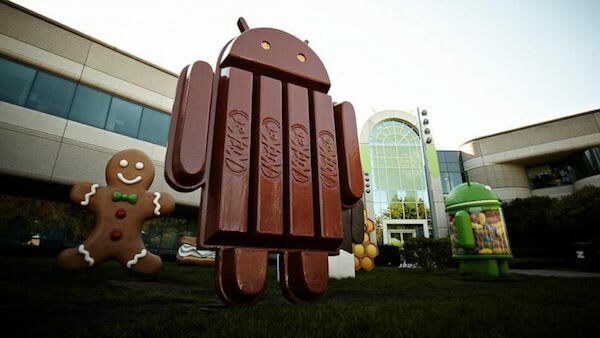 With KitKat, Google is applying its world-class crawling and search technology to the content and data within mobile applications. Quoting from the Verge, >A search for a restaurant will offer a link directly to that restaurant page in the OpenTable app if you have it installed, allowing you to set up a reservation. Or a recipe search will bring you to the result directly inside of the AllRecipes app — rather than the mediocre mobile website. This seemingly small feature, called deep-linking, will change the way users interact with their mobile phones. To date, mobile app content has been siloed behind rectangular chiclets. Looking for a document? Can’t remember if it’s stored in Evernote, Box, Gmail or Dropbox? Today, finding it means loading each application and performing search within the four applications. First, mobile application developers will use mobile search engine optimization to re-engage users. With search deep-linking, content within applications will be surfaced in search results driving users back with greater frequency. This is critical because today the only tools available to mobile application developers to draw users back to their applications are push lifecycle marketing tools email and push notifications. Search is a user action, a pull, laden with intent. Second, mobile commerce will boom. Google’s technology will send users deep within mobile applications, instead of the degraded mobile web experiences whose high friction payment experiences cause users to abandon their carts. Because applications store identity and payment credentials, these apps enable 1-click payments and will user conversion rates substantially. Third, new advertising opportunities will be created for developers. I suspect Google will enable bidding for premium position in the search results. Imagine a user with two different travel booking applications, eg. Kayak and Orbitz. When the user initiates a search on Google for flight, each of these mobile applications would likely be willing to bid on premium placement to capture the transaction. Fourth, search deep-linking solidifies Google search as the default first action for every user on android. Like on the web, search will provide the fastest means of accessing content on a mobile phone. Fifth, search deep-linking will re-inforce native application dominance. The better UX afforded by native apps and the easier payment flows will finally be accessible to the billion Android users and their tens of billions of monthly search queries. Given the volume of Google searches on mobile phones, and the fountain of traffic Google mobile searches present, I expect developers will go to great lengths to integrate with Google’s search deep-linking and for them to be handsomely rewarded. Deep-linking, despite its small and unnoticed entry, heralds a new era for mobile apps.